Gumout<sup></sup> Pro-FilmTM is a multi-use, non- evaporating, non-drying formulation used to control rust & corrosion while providing superior penetrating lubrication. Made with WOOL WAX oil, it repels water and displaces moisture. Lubri Penetra is a super concentrated, super penetrating oil-based lubricant with antifriction treatment. It acts instantly and gives long lasting results. Perfect for protecting the moving parts on all your tools and mechanisms. Good in temperatures from -70C to 160C. 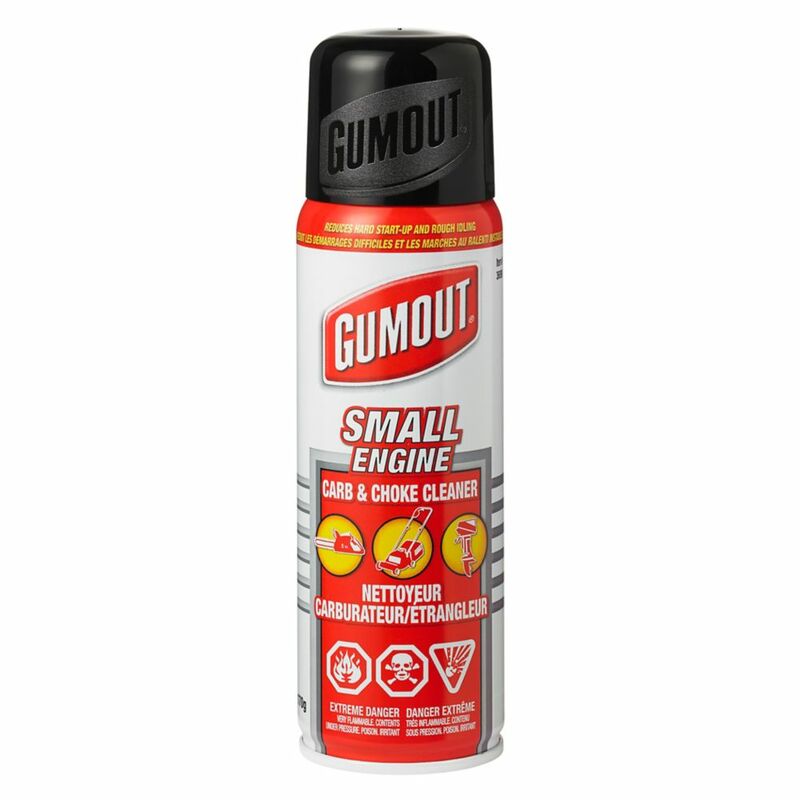 Small Engine Carb & Choke Cleaner Gumout<sup></sup> SMALL ENGINE Carb + Choke Cleaner Jet Spray quickly and easily removes gum, varnish & dirt from internal and external carburetor components to overcome hard starting, rough idling, stalling and loss of power. Use Gumout<sup></sup><sup></sup> SMALL ENGINE Carb + Choke Cleaner each time the air filter is changed to improve engine efficiency and reduce emissions.